Arrowhead Dahlias is a family run farm operated by Calvin and Julie Cook. 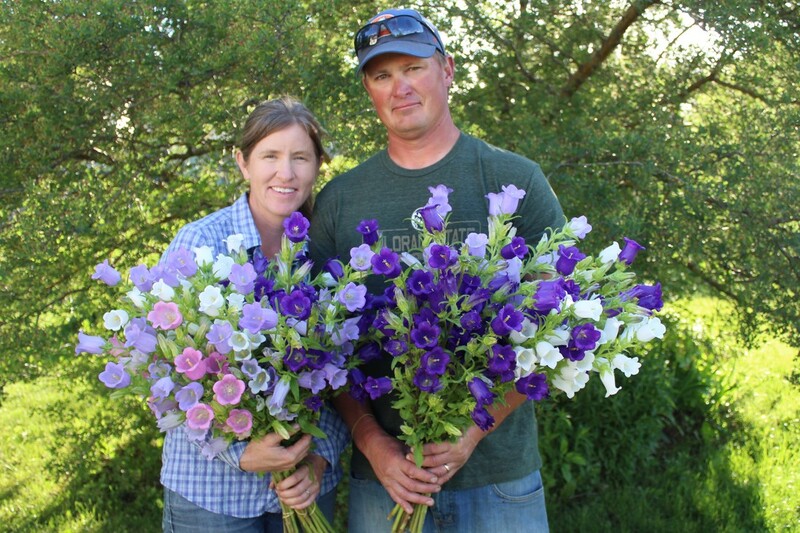 Our combined passion for growing, selling and arranging flowers inspired us to start our own cut flower farm after both receiving our horticultural degrees from Colorado State University. Arrowhead Dahlias is a 4 acre flower farm situated along the Platte River on the Front Range of Colorado. We specialize in growing cut flowers for farmer's markets, wholesale florists , and floral designers. We feel so lucky that we get to spend our days doing what we love! - Enjoying the beauty of nature tending to the flowers that bring smiles to everyone!